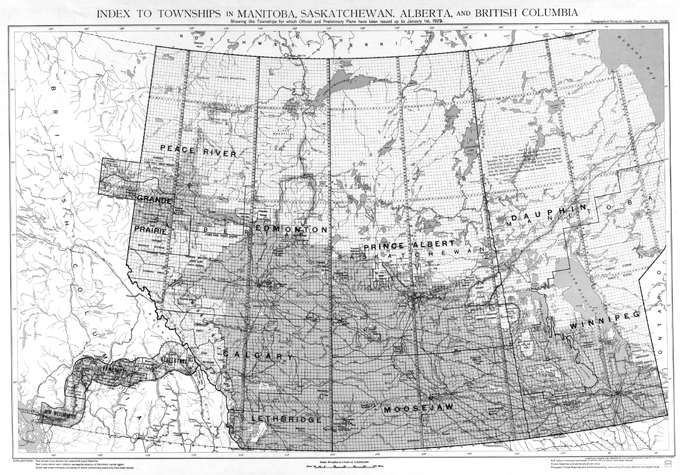 Find land in Western Canada (British Columbia, Alberta, Saskatchewan & Manitoba) subdivided by the Dominion Land Survey (DLS) and the Alberta Township System (ATS). GPS, UTM, NTS & MGRS. Township 12, Range 20, West of the 4th Meridian. Locate farms, forest, fields, acreages, oil and gas wells, leases, Legal Subdivisions (LSD), Unique Well Identifiers (UWI), mineral rights, surface rights, timber, mines, cabins, trap lines & fishing spots in the Prairie Provinces & BC.